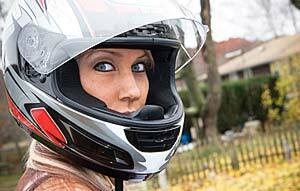 The more you learn about motorcycle riding, the more fun you’re going to have, and you’ll be a safer rider as well. 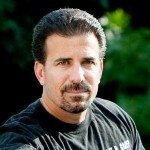 I have over 20 years experience as a Pennsylvania Motorcycle Accident Lawyer, and I recommend advanced motorcycle training for anyone who rides. 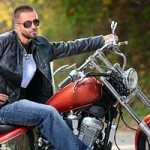 Many high quality advanced motorcycle training courses are available all over the Commonwealth of Pennsylvania. You can improve your skill set in several different areas of riding, giving yourself confidence and the ability to ride in new and exciting places. Risk is something that we accept as part of our riding experience, so minimizing that risk is essential to be able to keep going out safely, ride after ride. An advanced motorcycle training course will show you how to anticipate and react to risky situations you will encounter, such as unexpected debris on the road, or another vehicle that is driving erratically. Knowledge of where, when, and how to brake is important to the development of your riding skill. Mastery of braking allows you to have fine control at low speeds, and to maneuver in limited spaces. Understanding how much and how fast to apply the brakes in varying conditions enables you to avoid many potentially dangerous encounters. We enjoy the curves, and they have many areas where they can be studied and practiced. You will learn about stopping quickly on a curve, navigating multiple curves, and about making good judgments when cornering. An advanced motorcycle training course heightens your ability to ride comfortably and skillfully anywhere you want to ride, including in the mountains, in rural settings, on city streets, and out on multi-lane highways. In these training courses, you will see these concepts illustrated for you, and have a chance to discuss the techniques and how to implement them. After that you will get plenty of time to practice and ask questions about anything you don’t understand fully. As a seasoned motorcycle rider, I know that becoming one with your bike leads to the most satisfaction and enjoyment from riding. If you have any questions, or know someone who could use the advice of an expert Pennsylvania motorcycle accident attorney, please call Lee D. Gaber, Equire, at 888-292-5352 (888-CYCLE-LAW) for a free consultation.